It is with much thoughtful contemplation that I share the news that we are closing the Inner Bliss Downtown location. The one winner of the #ibyselfloveyogachallenge will be announced on Instagram on February 22nd, and will be awarded a 5 CLASS PACKAGE for posting our daily heart opener yoga poses! Join TEAM IBY Downtown in 12 Days of Giving to support the Salvation Army’s Harbor Light Complex. The Tribe treated us to an WIN, and the Rock and Blast fireworks did not disappoint. Quite a day for our Cleveland-loving yogi Tribe fans! This poem captures the essence of something we believe in so fully at Inner Bliss, the art of assisting. The first ever Yoga Night at First Energy Stadium was a really fun evening of practice, play and powerful energy. You don't want to miss this first ever, yoga night on the field at First Energy Stadium! The fourth annual community event in Gordon Square Arts District gathers entrepreneurs and small business owners together to learn, network and celebrate our vibrant, entrepreneurial community! The weekend's road races will impact traffic near Inner Bliss. 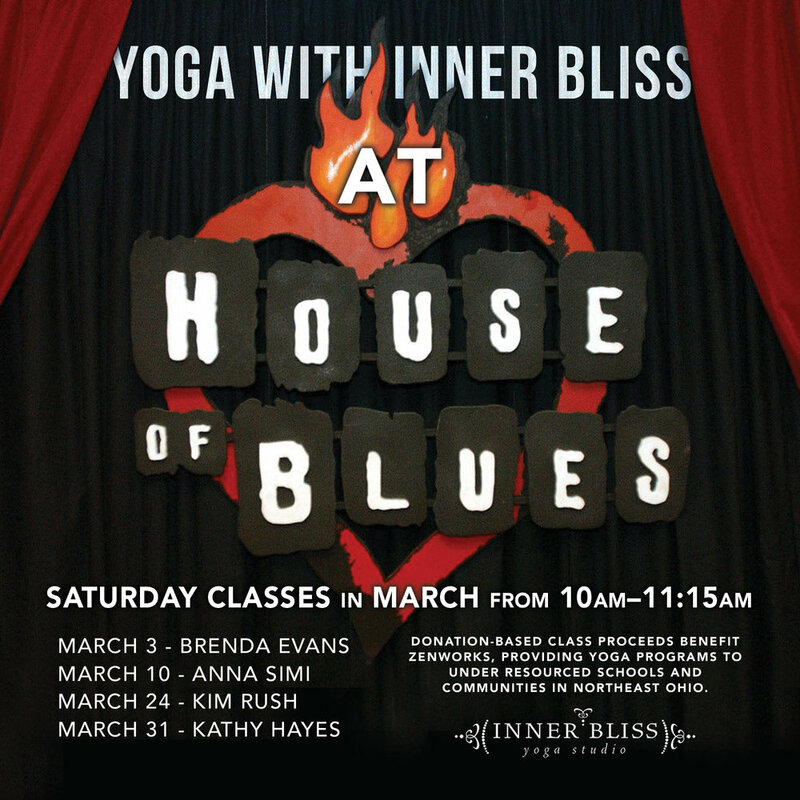 We are back to business downtown starting Thursday, April 19 for the 12:15PM Yoga Flow for All Levels with Tammy! RETWEET by 2PM for your chance to win tickets to see our squad rock our NEW #TheLand jerseys tomorrow night vs. the Rockets!